Welcome to Pure South – a new project consisting of contemporary two- and three-bedroom apartments offering spectacular sea views. Located in Manilva, between Estepona and Gibraltar, only 30 minutes from Marbella, the development offers a unique resort-style of living. 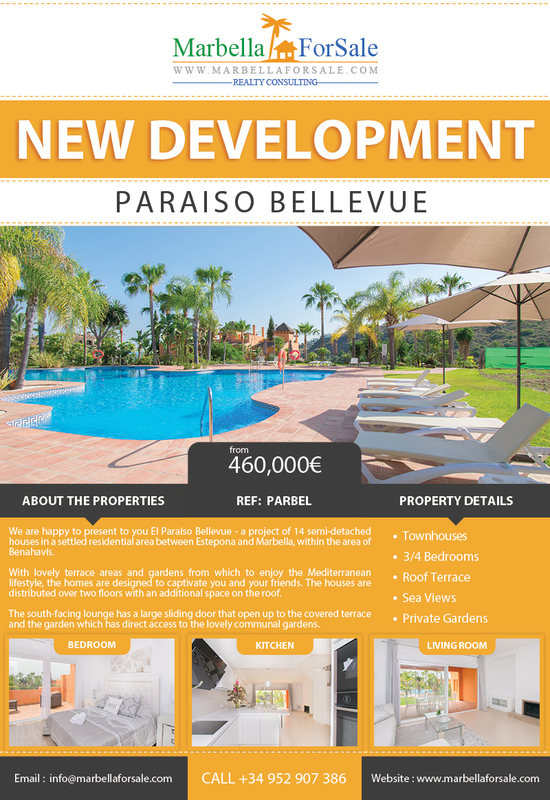 We are happy to present to you El Paraíso Bellevue – a project of 14 semi-detached houses in a settled residential area between Estepona and Marbella. With lovely terrace areas and gardens from which to enjoy the Mediterranean lifestyle, the homes are designed to captivate you and your friends. The houses are distributed over two floors with an additional space on the roof. Mesas Homes is a new project of new homes with one to four bedrooms, sitting just outside Estepona town centre. The project will be distributed across three separate plots containing a total of 187 homes. 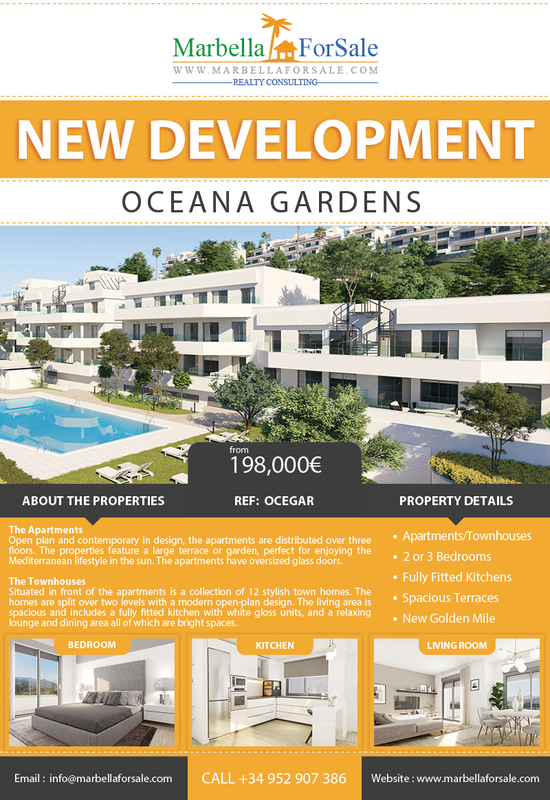 Oceana Gardens is a new project of highly contemporary two- and three-bedroom townhouses and apartments in the popular area of Cancelada, Estepona, on the New Golden Mile. 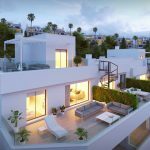 Para nuestra clientes Españoles, les presentamos marbella-inmobiliaria.com. Allí encontrará todas nuestras propiedades en venta en Marbella y la Costa del Sol, presentadas para usted en su propio idioma. Oceana Gardens, apartamentos y adosadas nuevas en la New Golden Mile, Estepona. De planta abierta y diseño contemporáneo, los apartamentos están distribuidos en tres plantas. Las propiedades cuentan con una gran terraza o jardín, ideal para disfrutar del estilo de vida mediterráneo bajo el sol. Los apartamentos tienen puertas de gran tamaño que proporcionan una transición perfecta entre el espacio interior y el exterior. 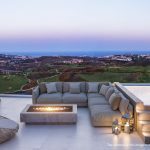 One Residences, apartamentos y áticos nuevas en La Cala de Mijas, Mijas Costa. Disfrutando de vistas panorámicas al mar, el proyecto se distribuye en una amplia gama de 17,000m² recurso. Las propiedades combinan un estilo arquitectónico contemporáneo, diseños de vanguardia en el interior, instalaciones de bienestar indulgentes y conexiones directas con la naturaleza. Eden, adosados de lujo nuevas en El Chaparral, Las Lagunas de Mijas. Estas nuevas propiedades de lujo ofrecen un espacio interior sustancial, con comedor, cocina totalmente equipada con barra de desayuno, que se integra en la sala de estar. ¡Las vistas desde las puertas y ventanas triples de gran tamaño son increíbles! También le permiten moverse sin problemas desde adentro a su generosa terraza parcialmente cubierta. 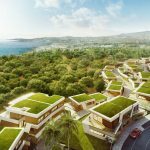 We are pleased to present Oceana Gardens – a new project of highly contemporary two- and three-bedroom townhouses and apartments in the popular area of Cancelada. Open plan and contemporary in design, the apartments are distributed over three floors. 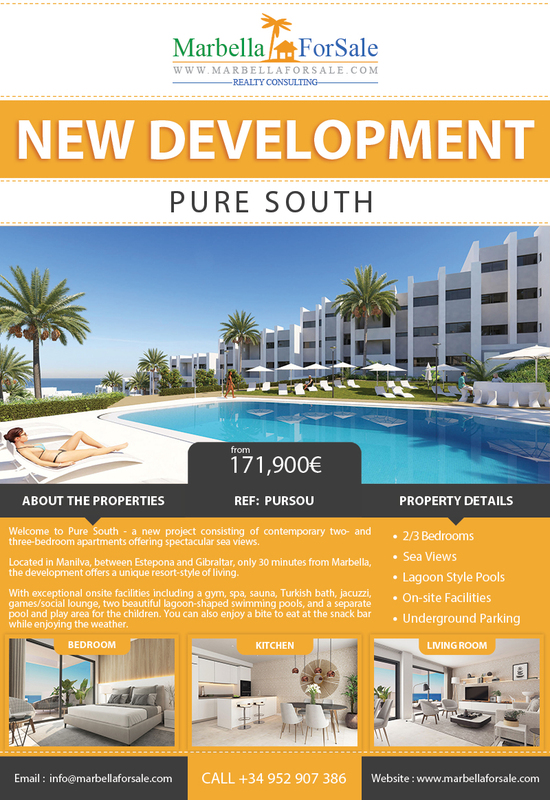 The properties feature a large terrace or garden, perfect for enjoying the Mediterranean lifestyle in the sun. The apartments have oversized glass doors that provide a seamless transition between your inside and outside space. 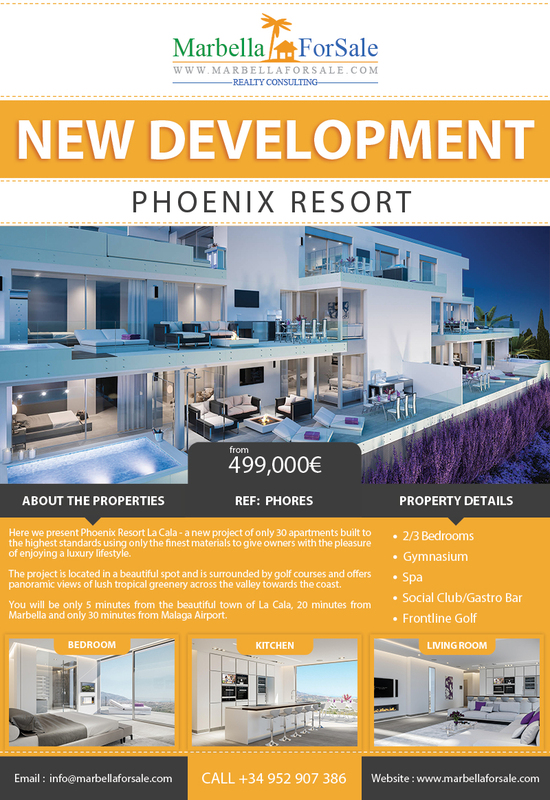 Phoenix Resort La Cala is a new project of only 30 apartments built to the highest standards using only the finest materials to give owners with the pleasure of enjoying a luxury lifestyle. 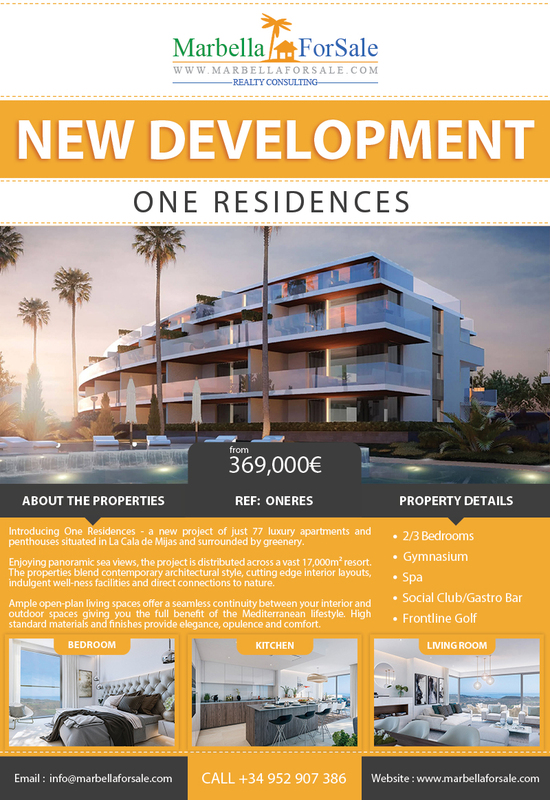 Introducing One Residences – a new project of just 77 luxury apartments and penthouses situated in La Cala de Mijas and surrounded by greenery. Ample open-plan living spaces offer a seamless continuity between your interior and outdoor spaces giving you the full benefit of the Mediterranean lifestyle. High standard materials and finishes provide elegance, opulence and comfort. Here we present Phoenix Resort La Cala – a new project of only 30 apartments built to the highest standards using only the finest materials to give owners with the pleasure of enjoying a luxury lifestyle. The properties are spacious, light-filled residences with exceptional interior design, perfect for relaxing and entertaining. There is a choice of 2 and 3 bed apartments, and 3 bed penthouses. West Beach is a new project consisting of just six luxury homes. The properties sit only 50m from one of the best beaches in the area. The houses all have 3 bedrooms and 2 full bathrooms, plus an additional guest toilet.